Let’s just say, if you’re Foster, the last 6 weeks have been kind of cruddy from his point of view. Being left for 5 days, then lame 1, then returning to riding, only to get a chiropractic session and be back sore for 6 days, followed by another slow return to work, then left again for 4 days. Poor Fosterpants. So it’s no wonder that he’s a little out of shape as a result of that mess. But I was determined to squeeze a Doug lesson in before he heads to the winter eventing mecca that is Aiken. After a casual jump school showed me just how not-in-jumping-shape he was, I decided to try a dressage lesson at his farm. After telling Foster he was not going to be a lazy sod, we had a pretty bright warmup before moving into lateral work. Specifically, we worked on the quality of the shoulder-in. Immediately we were called out for getting a little shorter in his neck and in his step. Instead of constantly holding with my hands through the movement, I need to focus on keeping him soft (to inhibit neck-shortening) and think about lengthening throughout so we get more of a ‘swimming’ motion up front, and subsequent follow-through with the hind end. Another consequence of holding with my hands is that he will tend to lean into them, instead of carrying himself (self carriage) like the big-boy dressage horse he can be. After a brief break where we watched some theatrics from the farm’s residents, we moved on to walk-canter transitions. While we’ve been doing these in a jumping arena for some time, dressage quality transitions are still relatively new to Foster, and so a work in progress. This part of the lesson was somewhat simpler in theory, though just as hard (if not harder!) to execute. The main idea- straightness. We used counter-bend to bring his withers in line with the rest of his body (in the case of him falling to one side), then getting the inside bend before asking for the canter transition. It takes a bit of putting the pieces together before we get a clear transition, but with time and repetition, this is one that I hope will improve quickly. Also, it’s pretty fun to school. Bonus points for fun dressage. Overall, the lesson was beneficial in keeping tabs on the quality of the work we are doing. I learned (er, was reminded) of many of the rider habits that I have that I can improve on, and have new visuals and techniques for improving Foster’s balance and suppleness through these more difficult exercises. Now, practice practice practice. 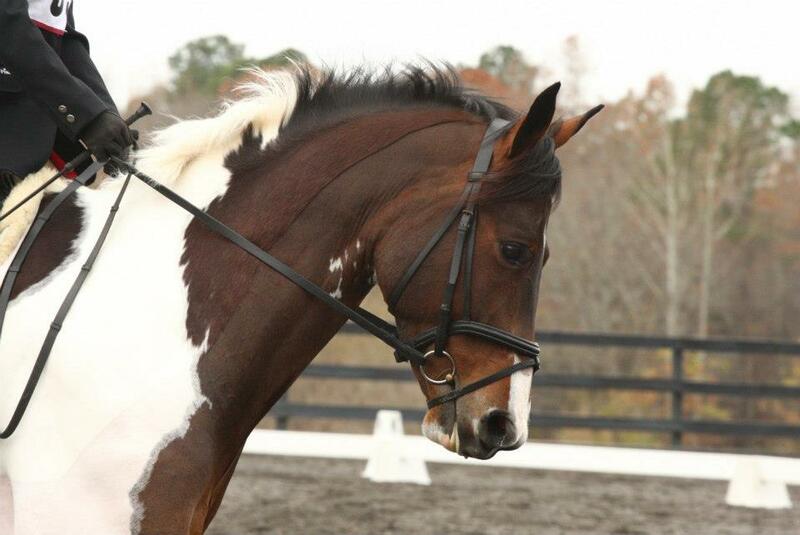 I don’t know much about dressage, but the last gif of the canter transition looks lovely! Thank you 🙂 I lean a bit into it (my bad habit), but I was quite proud of Foster for that transition! I used to (still struggle with?) the same crookedness you have in body in the shoulder in. What helped me was realizing I was trying to “push” my horse into the movement instead of sit down on my seatbone and insist he stay with me. For me, I had to slow down for more engagement and a half halt (“STAY with me”) but you might have to keep your legs on a sit for more. Horses vary, but the need to sit usually doesn’t. Another thing that helped me was turning my outside shoulder back and really sliding my outside shoulder down my back, keeping my elbow connected to my hip. That solidified the outside rein contact and held the half-halt asking for the engagement and the sit, while letting my inside hip come forward to allow for the bigger step with the inside hind. Maybe some of that helped, or at least made sense? Now, I’ll trade you my inside leg that wanders forward for yours that wanders back? Deal? I think I get it! At least connecting the elbow to the hip makes sense. I will give it a try, thanks! I am so eager to work on walk to canter but know I have to wait until we’ve got things a bit more together first. And I seriously have no idea why I ever thought Foster was a little pony, that guy is big! Haha, I like to call all horses ‘pony’, after picking up the habit from my dressage teammates. 🙂 But I think Foster is going through a growth spurt right now- wondering if he has reached the 16.2hh mark! Crudy 6 weeks or not, he looks SO good! I can’t believe how much weight he has put on! Handsome, handsome, handsome!! Go foster!!!!! December is almost a joke for riding with all the holiday craziness and potential winter weather. But he looks ready to get going and beast it up for the spring season! I feel like January is no improvement, either! All this rain makes me thankful for the indoor, but it definitely makes jumping a little more awkward. Hoping to get lots of practice with the poles before starting the season! I concur with those before me. Beastie is looking swoon-worthy. love the gifs – you two look amazing!!! Foster just always looks like he is trying so hard – what a cool horse!